Maastricht University (PhD) students and staff can ask the library to register an ISBN for their theses or other UM publications. 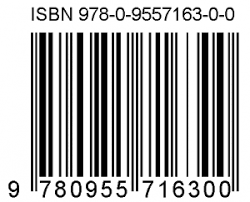 By obtaining an ISBN you will be able to take the necessary steps to ensure that your book is widely known and to maximise its sales potential. In order to request an ISBN, please go to ISBN registration and fill out the form. Registration and approval take about 3 working days. There are no costs involved. We send the requested ISBN via e-mail.